한남동에 Dj Jinwook의 요즈음 취향들을 함께 공유하기위해 오픈한 Disco Surf 가 표방하는 것들 입니다. 써핑용품들도 구비해놓아 한국에서 전혀 접하지못할 라이프스타일것만 같은 Surfing을 오래되고 친근한 분위기에서 쉽게 접할 수 있는것이 이곳의 장점이다. 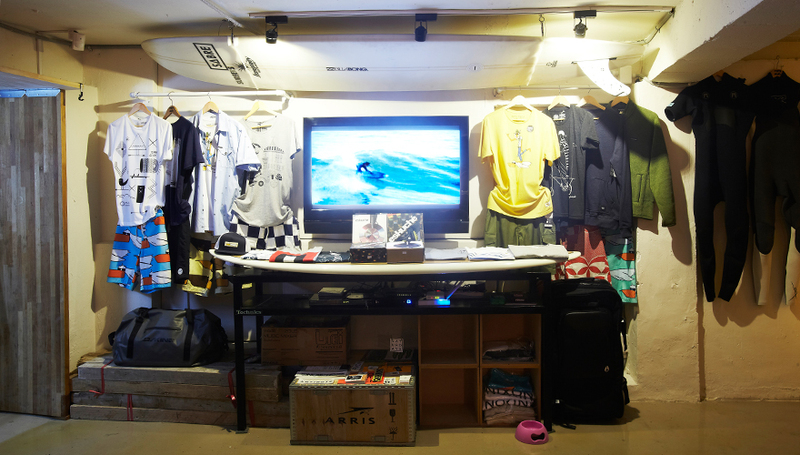 DJ Jinwook is a Korean-born artist who created the label to combine his two passions: discography and surfing. 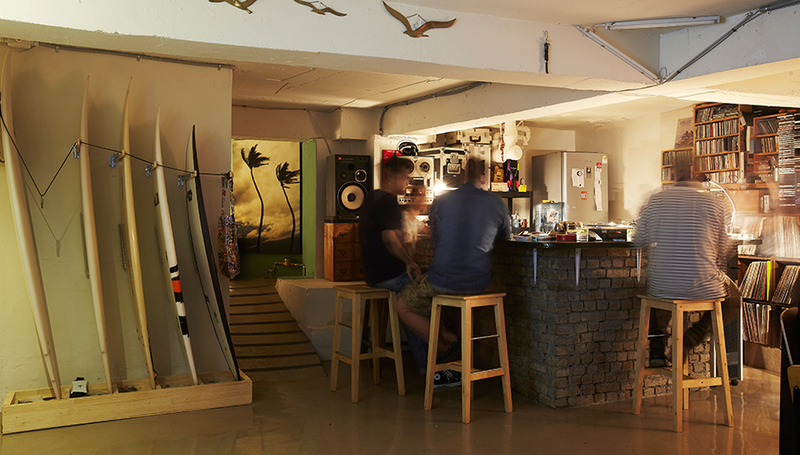 After his ventures in the fashion, music, and party industry in Seoul, London, and Tokyo, DJ Jinwook set up his hybrid culture lab in a hidden corner of Hannam. Warm vinyl sounds and the air of sitting in a cottage at the centre of this hectic megapolis rub off on the clothing line. 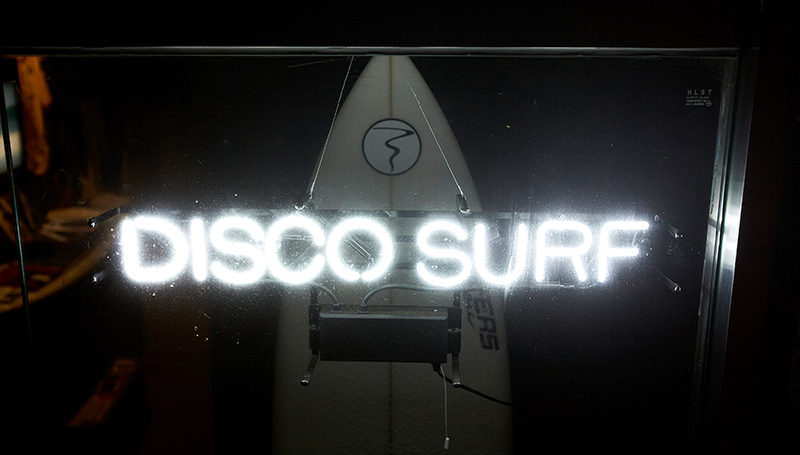 Discosurf conjures up a contradiction embodying the 70's vibe whilst surfing the trend, staying urbane yet close to nature.